You may be like me, put off updating equipment until you absolutely need to, but then you get to the stage where it has to be done. Well that was me a couple of weeks ago. When we got our first computer at home, back in the early 2000's, monitor screens were a bit boxier and generally smaller than those you can get today. Ours was only 15 inches and included speakers- which is great if space is limited. Moving on to the next decade when technology was improving and web pages could now fill a wider screen, I was having to use the bottom scroll to see what was on the right hand side of the page. After my eye test last year revealed vision issues I made adjustments: increased font size on my screen and had the lighting in my office area customised to my needs. My glasses now tint to protect me from bright lights indoors or sunlight outside. I finally admitted I needed a bigger screen to make everything easier and for display requirements. Wow, the monitor sizes and options, as well as the cost of some of them! 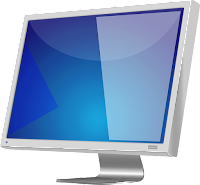 You can get a good monitor without paying huge prices. I did some online comparisons; measured the space available for the monitor sizes and pinned down a few of my must haves: speakers integrated; plus a non-reflective screen- when you turn it off you can't see your face in it. I was impressed with how many manufacturers are producing screens with eye-health in mind. Although I've only had my new monitor (just under 22 inch size) a few weeks I can feel the difference at the end of the day with the low blue light effect; my eyes are not as tired and I can read a paperback book before bed without difficulty. Whether the blue light on my old monitor contributed to the start of my macular degeneration, I can't say as age does play a part. If you're not sure about the pros and cons of blue light there's some interesting information from Zeiss about it and eye care. When I had my Optician's appointment last week I was relieved that the macular degeneration was stable and all the changes I've made over the year, including vegetable choices, have been helping. Eye health is very important whether you're a writer and/or a reader. 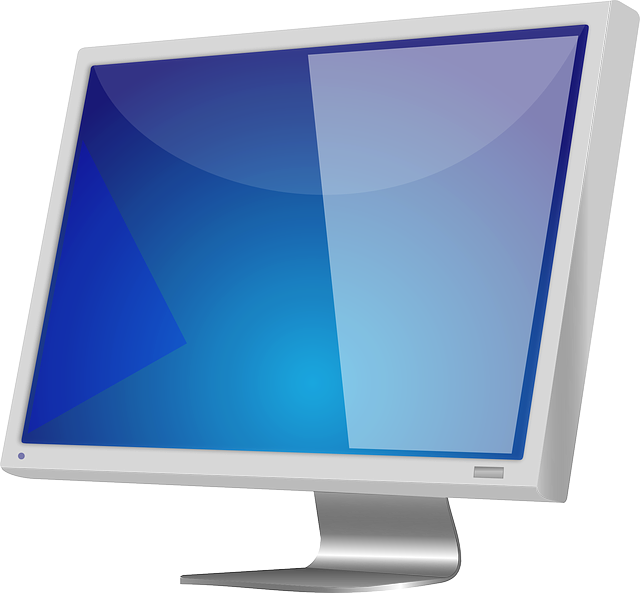 Are you still working with an old monitor or have you updated? Keeping your eyes healthy is very important. I've done yoga exercises for eyes every day since I was 25. The result is (according to my optician at my last visit) that my eyes are about 20 years younger than the rest of me. Now - I just need to find a way for the rest of my body to join them. Google 'yoga eye exercises' and try them! It's excellent news that you've been able to stabilise the macular degeneration with the changes you've made. Computer monitors are so much better now aren't they. I think you should be very pleased with yourself for turning things around the way you have. Sue- I've not heard of yoga exercises for the eyes, but if it works then that's good. Teresa- thanks. I was very relieved when the Optician compared the two images, last year's and this year's, and could see no changes. Now I'm used to the bigger screen and lower blue light I can feel the difference at the end of the day. Glad you've found a monitor that works better for you, Carol - so important you don't make your eyes worse. I had to update my computer earlier this year and after making a huge mistake with the first one (which ended with us sending it back after too many problems). I love my new desktop and so far the monitor seems to suit me too - but I don't spend too long on it at a time. Rosemary- glad you got your new desktop sorted. My monitor is sitting on a Monopoly game because otherwise my chin gets lower and lower. I didn't know about night light settings; I've just changed my monitor to see how this feels. Thanks for the tip. You're right about our eye health being important – think I'd better book another test. Julia- my monitor sits on a wooden box to get the right height; if I put my arm out in front of me, when I'm sat at the table, my fingers just reach the screen so I know it's in the right position for me. I only found the night setting when I was checking something else on the computer's display settings. Patsy- always sensible to get eyes checked every few years. More technology is being used and having an effect on vision, besides the results of ageing which we can't avoid.